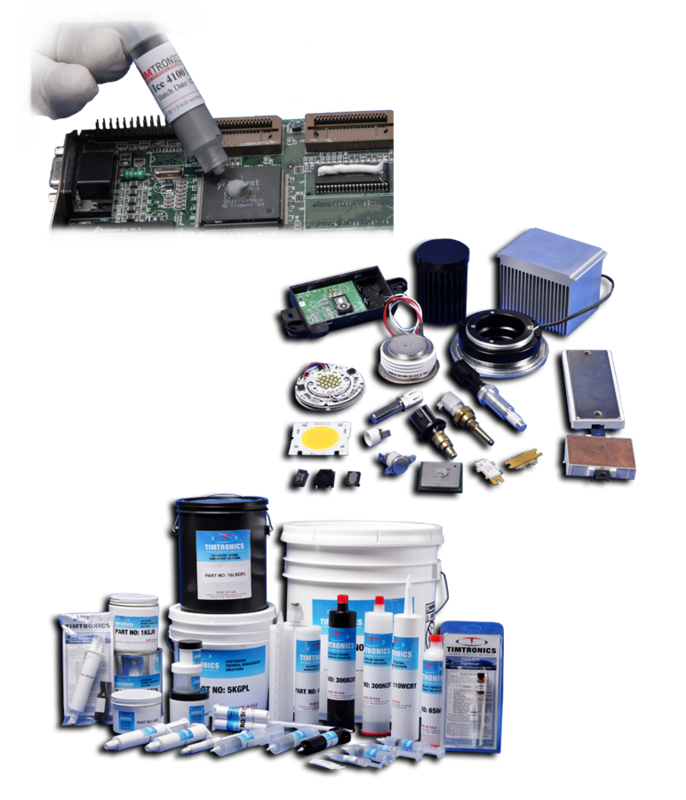 Global leader in most advanced Silicone-Free Thermal Interface Materials. Rapid Product Design and Sampling. High temperature stable up to 360°C. NSF H1 approved food grade thermal greases. Conforms to any size, shape with minimum pressure. 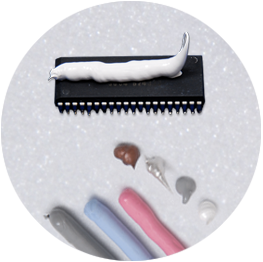 Extremely soft, Gel type compressible, Thermal conductivity up to 16 w/m°k. Soft cures relieve stress and correct CTE mismatch. Timtronics founded in 2003 is an ISO 9001:2015 certified manufacturer and formulator of the most Advanced Thermal Interface Materials. 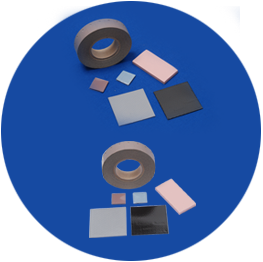 Timtronics is a global leader in Non Silicone (Silicone Free) thermal interface materials. We partner with O.E.M. companies to develop high performance thermal interface materials using our proprietary technology and engineering expertise. Each new product formulation is designed to meet and exceed O.E.M. specifications. We pride ourselves on rapid product design, sampling, flexible production methodology and world class technical support. 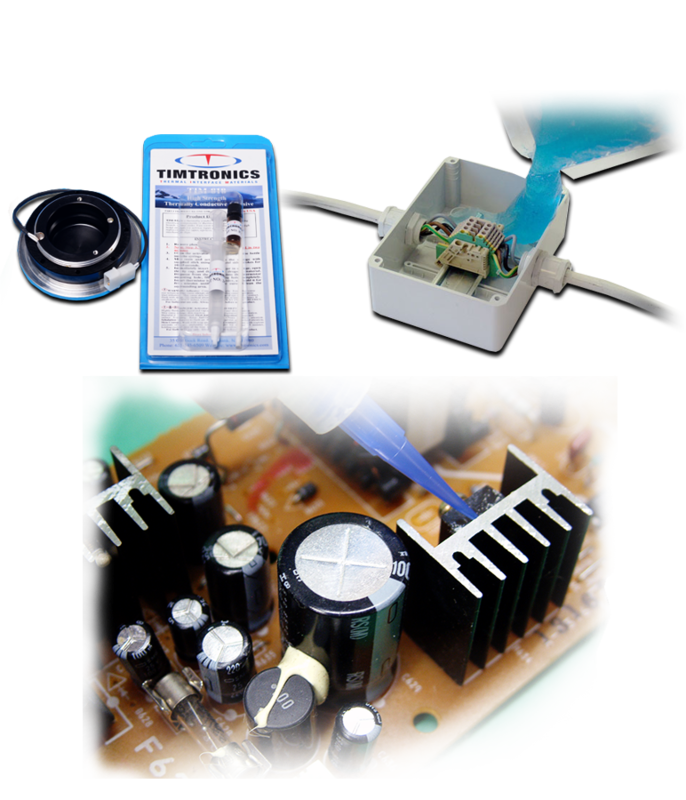 Timtronics Customer Enrichment Program (CEP) guarantees unparalleled customer service, consistent quality products and provides the next generation of thermal interface technology. Timtronics has over 50 years of experienced chemists and engineers to assist you in finding solutions to your most demanding applications. 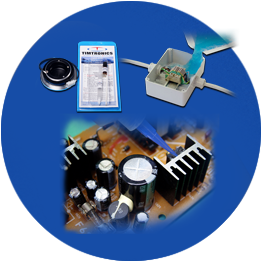 TIMTRONICS thermal interface approach is based on Silicone Free technology. 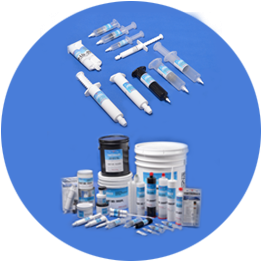 Our products design is driven by an innovative polymer technology and advanced filler systems that can be customized to fit diverse product applications and end uses. That means you get product which meets your specification requirements and low cost. TIMTRONICS innovative solutions, R&D capabilities and extensive experience mean that your challenges are covered…now and in the future. 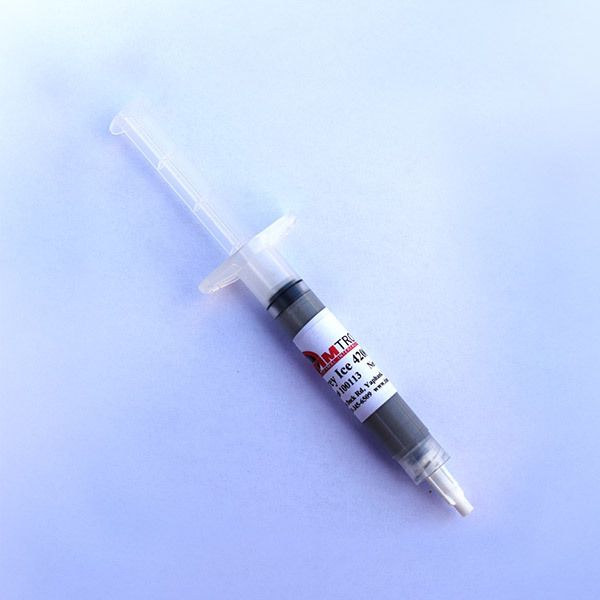 High performance thermal grease designed to meet the thermal, reliability and low price requirements of high-end chipset, graphic processors trend ever-faster clock speeds. Specially formulated with tacky texture which helps to control pump out during thermal cycling. 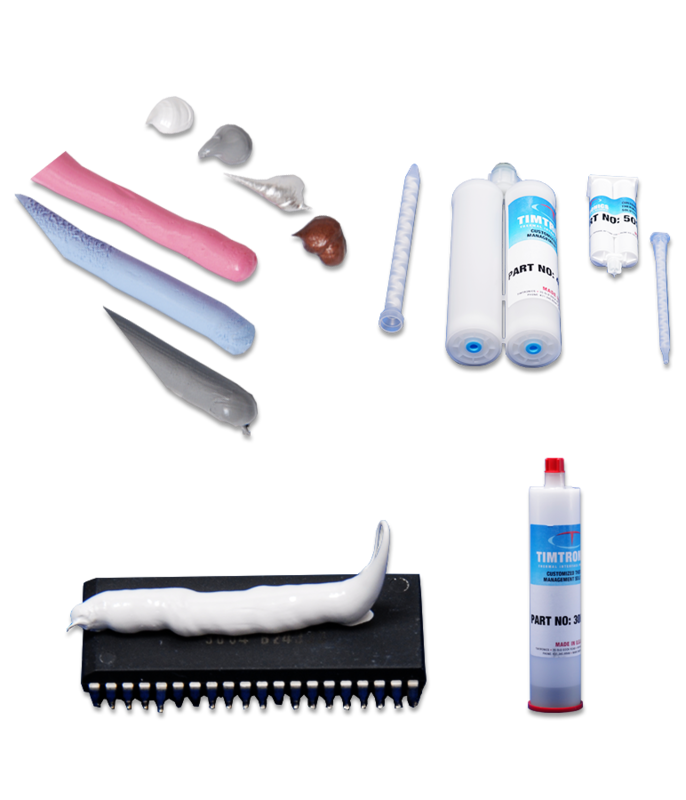 Dispensable and screen printable consistency makes easy in production environment.